Dr. Susan Lim’s background is as a distinguished surgeon, researcher and pioneer, and the evolution of her career from open to robotic surgery, and from transplanting organs to researching cells, has been as a result of disruptions within her Industry. Dr. Susan Lim graduated from Monash University with first-class honors in Medicine, and received her Fellowship in Surgery from the Royal College of Surgeons (Edinburgh) , being awarded the Gold Medal (shared) as the most distinguished candidate in General Surgery in that year. She was awarded the Churchill Gulbenkian Scholarship to undertake a PhD in Transplantation Immunology at the University of Cambridge. While in the UK, she went on to receive a number of awards, including the Ethicon Travelling Scholarship, which provided her the opportunity to travel to the US to observe the pancreas and islet cell transplantation programs in Minneapolis. After returning to Singapore in 1990, Dr. Susan Lim became Senior Lecturer in Surgery at the National University of Singapore, where she pioneered the first successful liver transplant for her country. She rose to Associate Professor in Surgery at the National University of Singapore, and developed her research program in islet cell transplants and stem cell research. She left for the private sector in 1995 to pursue clinical surgery, focused on advancing techniques in minimally invasive surgery, and pioneered the dA Vinci robotic general surgery program in the private sector. Dr. Susan Lim is a founder of the Centre for Robotic Surgery, Singapore, and led the introduction of the ‘da Vinci’ robotic system for general surgical applications in Singapore. The system has revolutionised procedures in the areas of cardiology and urology. As Chairman of Parkway’s Centre for Robotic Surgery for Training and Development, Dr Lim worked with her gynecology colleagues to help pioneer applications in robotic surgery. 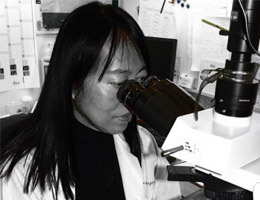 Dr Susan Lim is a pioneer surgeon and medical researcher. 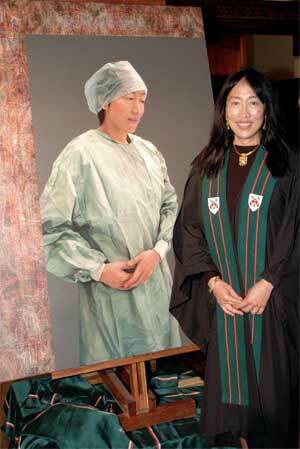 Dr Susan Lim performed the first successful cadaveric liver transplant for Singapore in 1990.